In this unique collaboration, the most prized and esteemed scholars in theology, religious history, and sociology offer a new understanding of American spiritual life by placing African-American religious experience at its center. Moving from specific cases in African-American history and theology to discussions of how African-American experiences can and should inform all studies of American life, they uncover the spiritual human soul that unites all of us. The editors call this project a “testament of hope,” and it is a powerful tribute to the late James M. Washington, whose works were an inspirational search for universality. 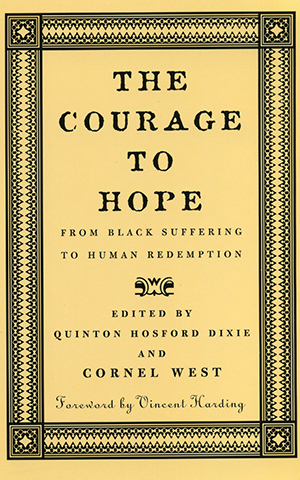 Contributors include James H. Cone, David D. Daniels III, Walter E. Fluker, Cheryl Townsend Gilkes, E. Lee Hancock, Dale T. Irvin, Carolyn Ann Knight, Charles H. Long, Sandy Dwayne Martin, Genna Rae McNeil, Richard Newman, Albert J. Raboteau, Gary V. Simpson, Mark V.C. Taylor, Judith Weisenfeld, and Lucas Wilson.